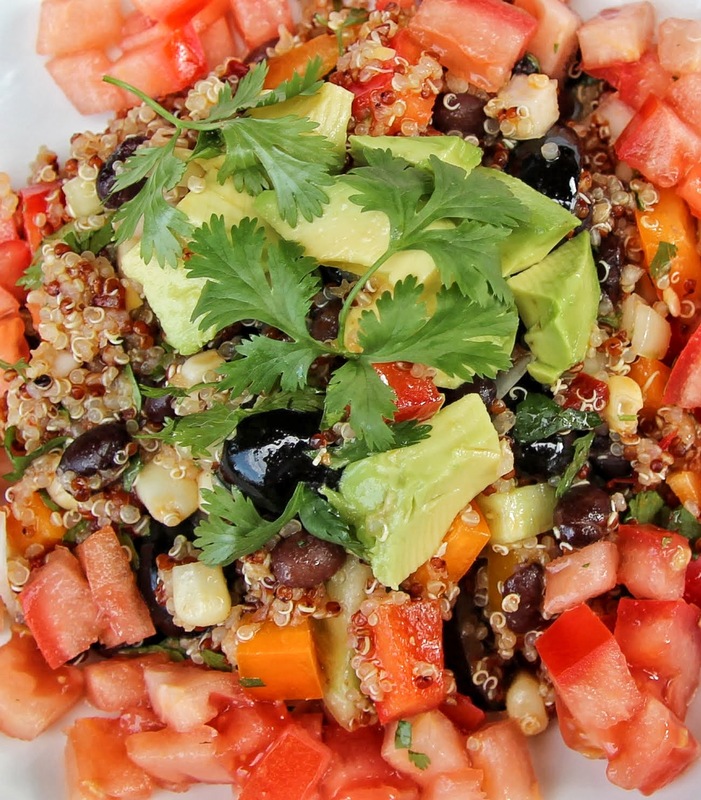 Why yes, it is another quinoa salad! Because really, what’s more perfect to have waiting in your fridge on a hot summer day. Besides a cold adult beverage of course. This is best made ahead of time so the flavors can marry and it can get nice and cold. 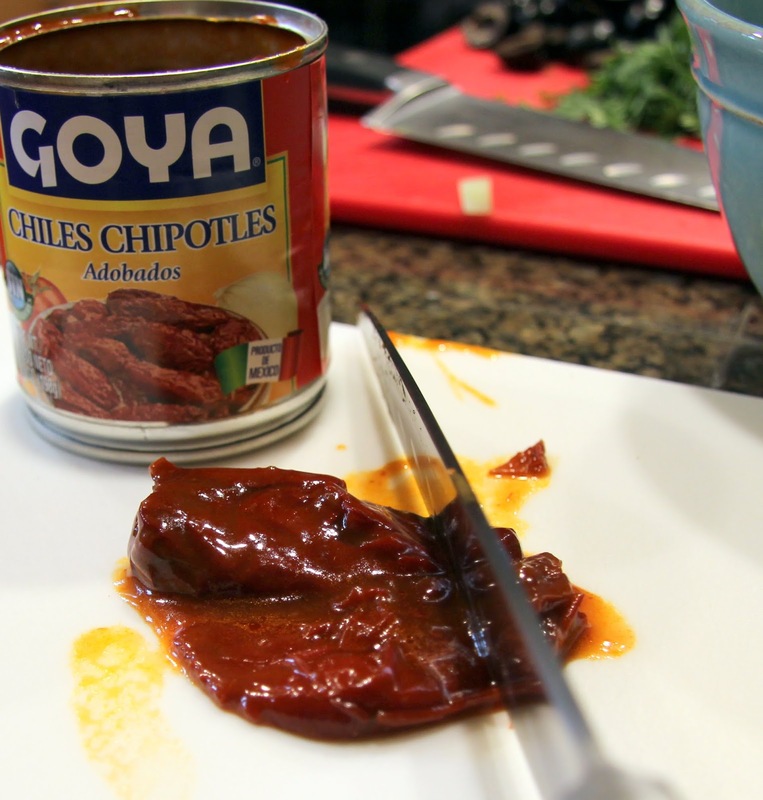 It will easily keep for a few days, just be sure you don’t add the avocado and tomato until right before serving. This salad has bold, fresh flavors with some smoky heat. I think you’ll find it simple to put together. 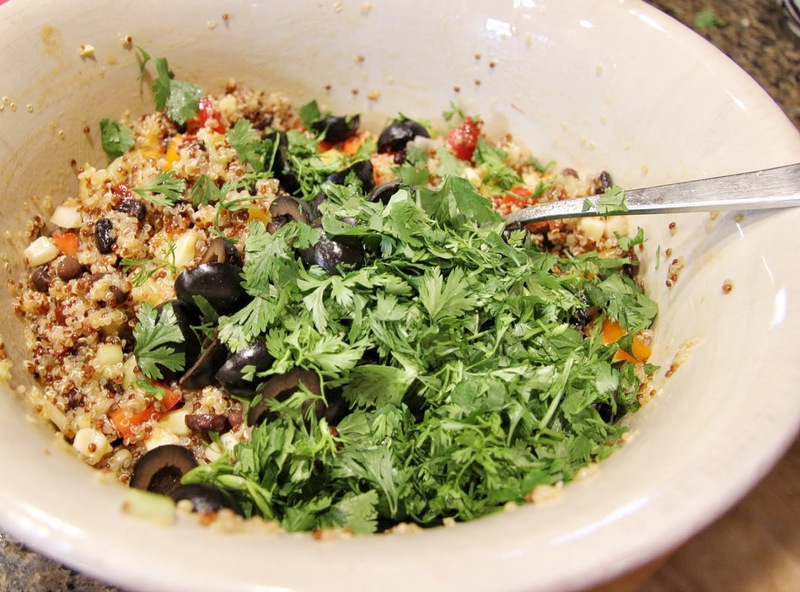 It works as a healthy main or side dish and would make perfect picnic or bbq fare! I plan to make it for the holiday weekend. We will have friends in town and it will be great to have on hand to eat in or pack to go to the lake if it’s too hot in town! 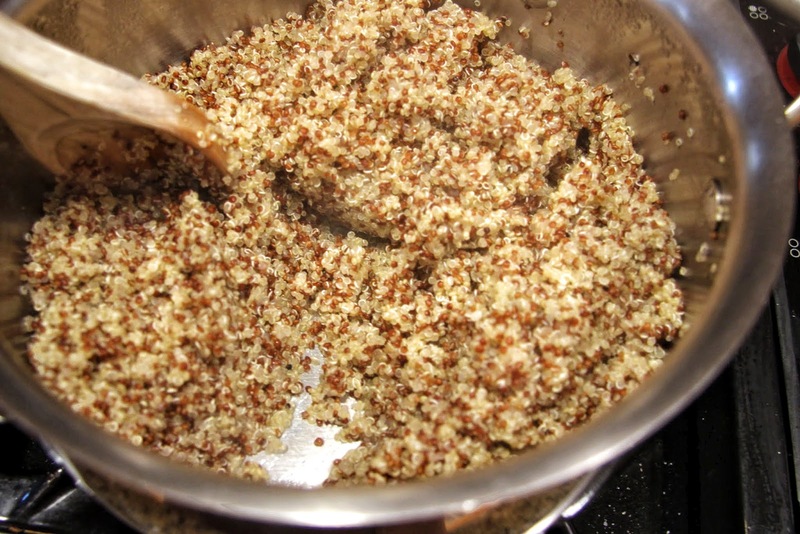 Place 2 cups quinoa, 3 cups water and a pinch of salt in a large saucepan. 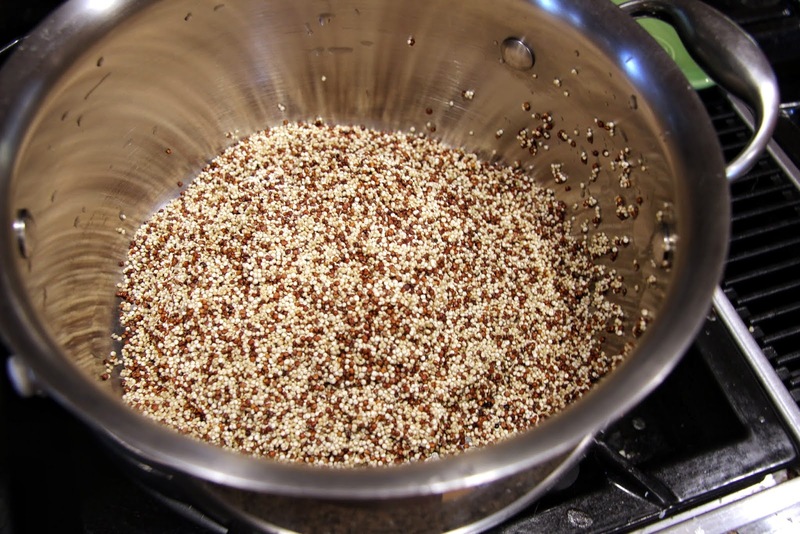 Bring to a boil on high heat, stirring often, then reduce heat to low, cover and allow to cook about 15 minutes or until the quinoa has absorbed all the water, stirring occasionally. note: The directions on the package your quinoa comes in will likely call for a 1 to 2 ratio of quinoa to water. I find a 1 to 1.5 ratio makes for a nicer texture with a little crunch and no mushiness. If you need to cook the corn, do so at this time by steaming, boiling or grilling it on the cob then allow it to cool. If using frozen, simply allow it to thaw before adding it to the salad. Remove lid, fluff and set aside to cool. 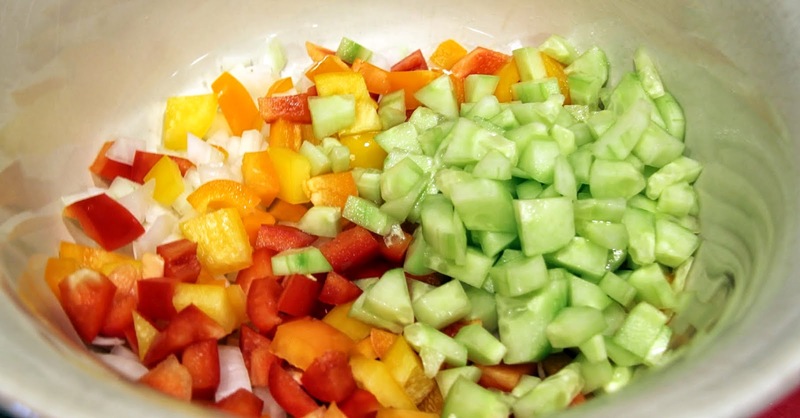 Chop onion, core and dice bell peppers, peel and dice cucumbers (remove seeds if necessary, depending on the variety) and place in large work bowl. 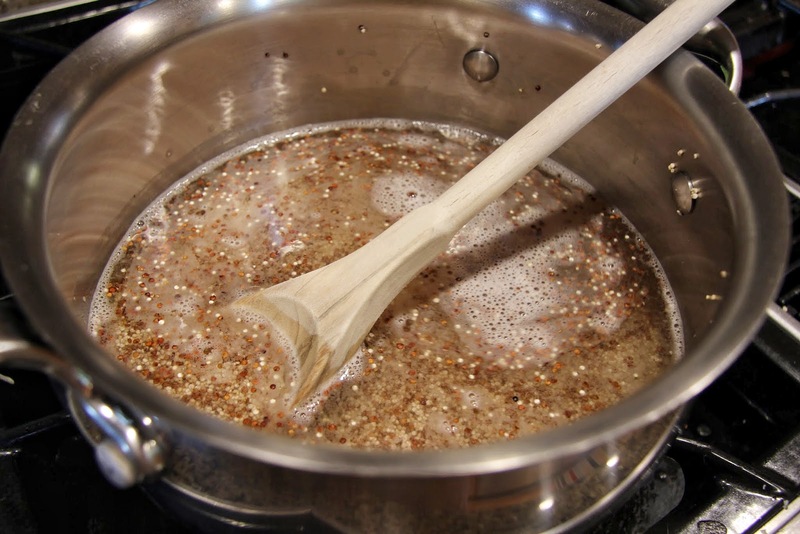 Sprinkle with a pinch of salt and freshly ground pepper. 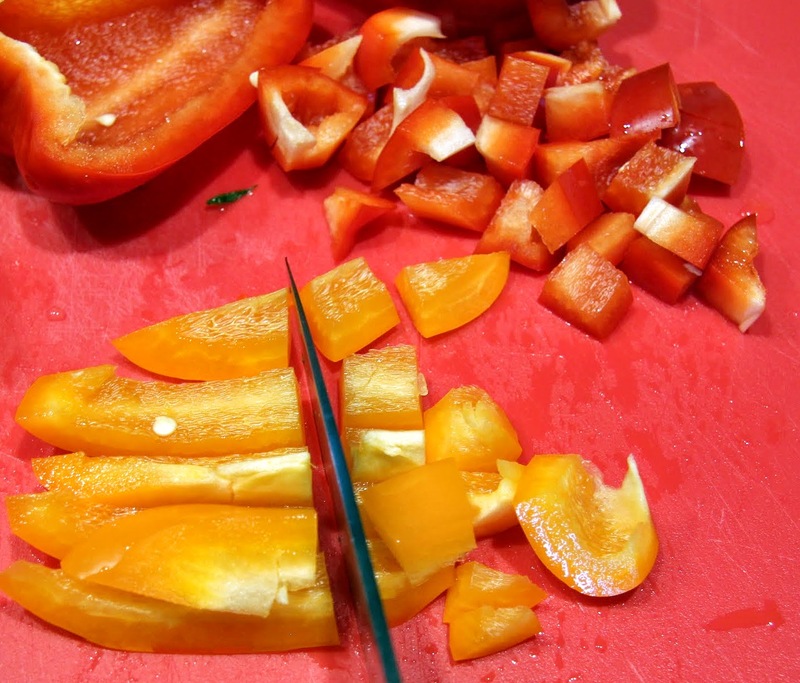 Remove 4 – 6 peppers from the adobo sauce and chop into small pieces. Refrigerate remaining peppers and sauce (I remove them from the can). 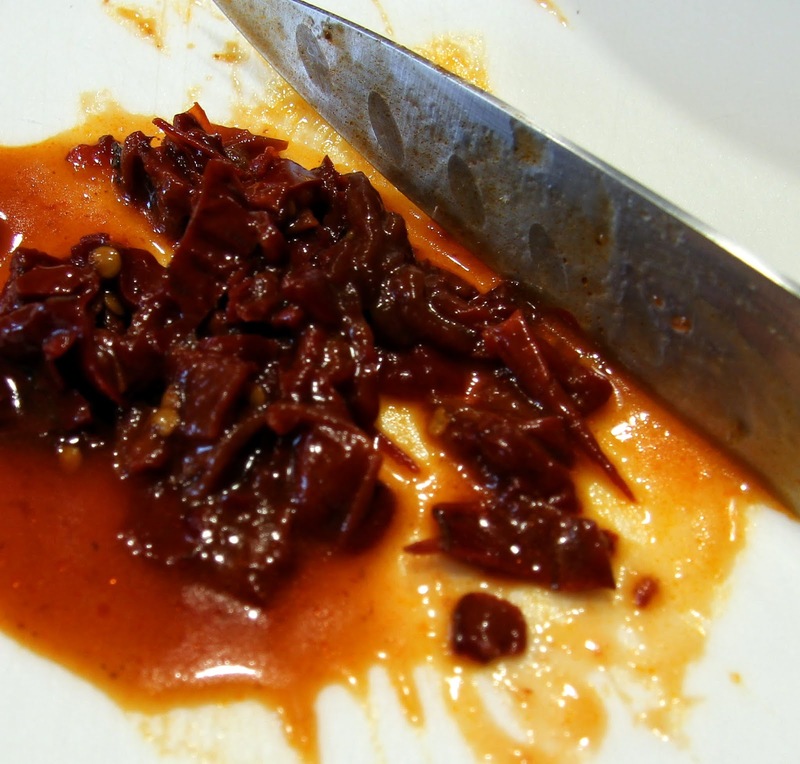 If you’d like more heat in your dressing, you can add some of the adobo sauce. 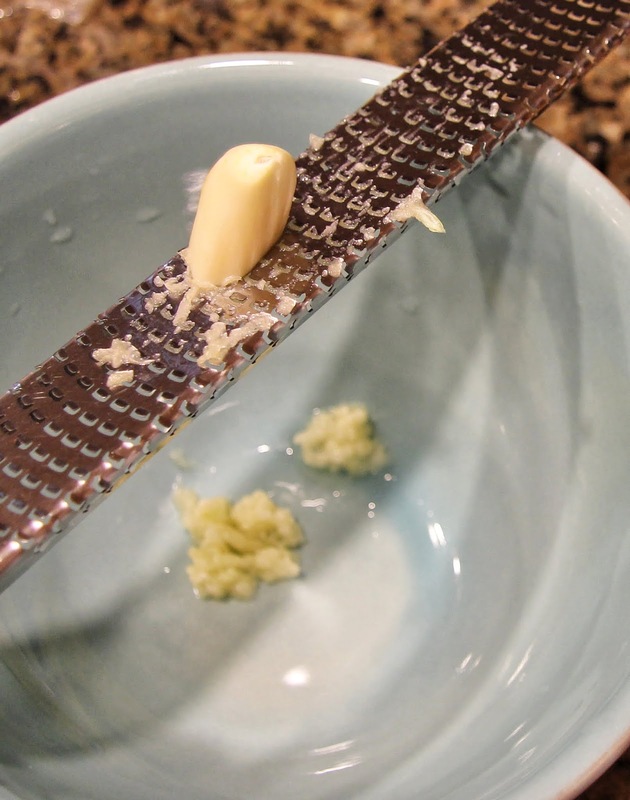 Grate garlic over a medium work bowl. 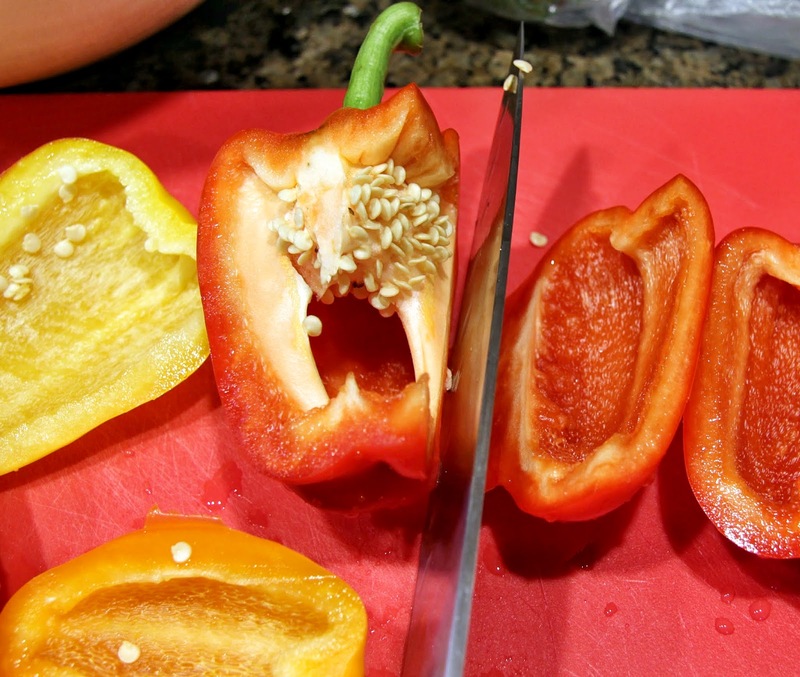 Add the chopped peppers and lemon juice. 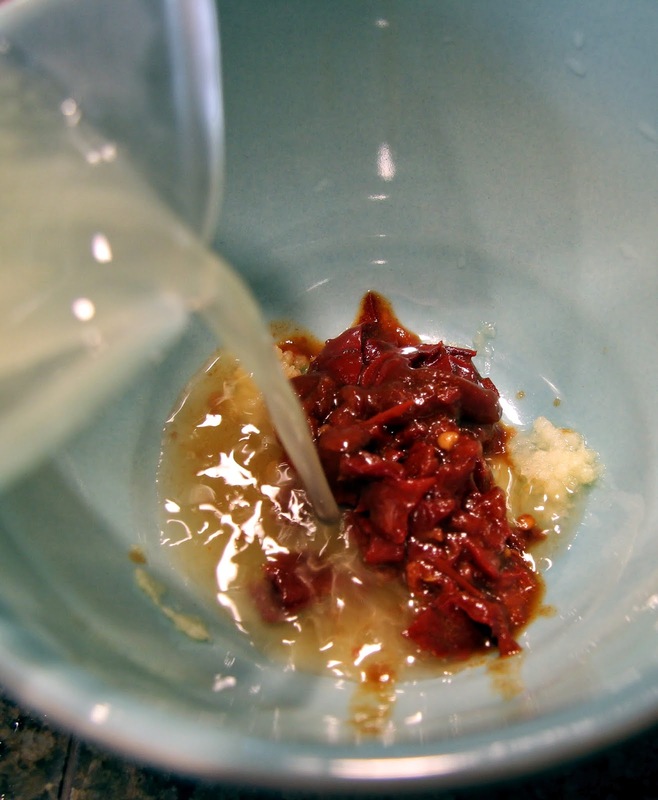 Stir in the oil, salt and pepper to taste, add more heat with adobo sauce if you like. 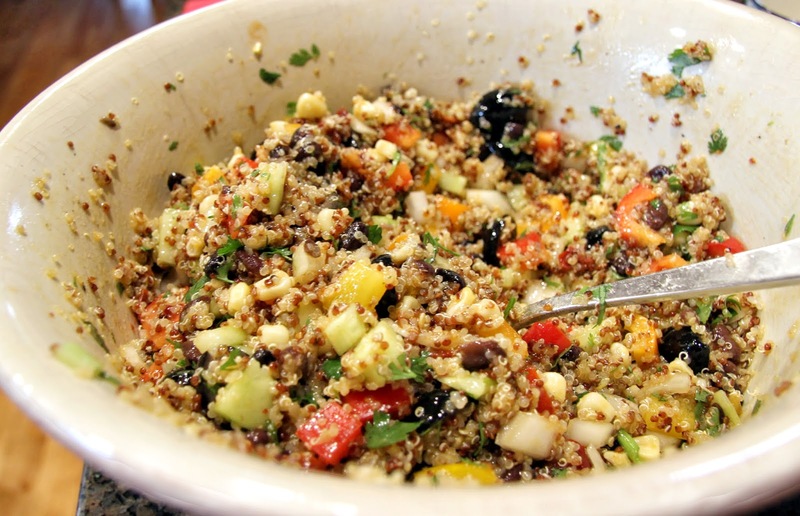 The flavor of the dressing should be bold as the quinoa, beans and veggies will absorb a lot of flavor. 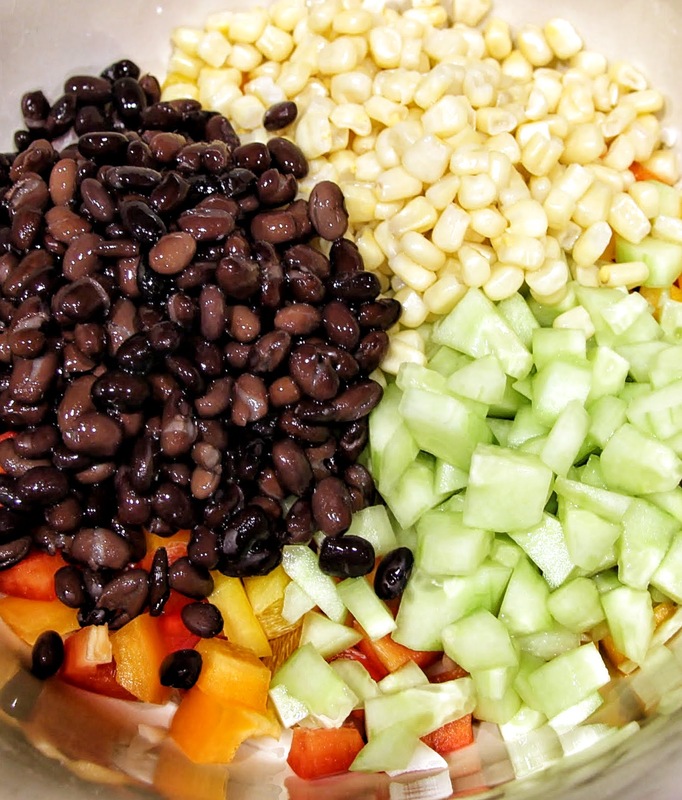 Add black beans and corn to veggie mixture. 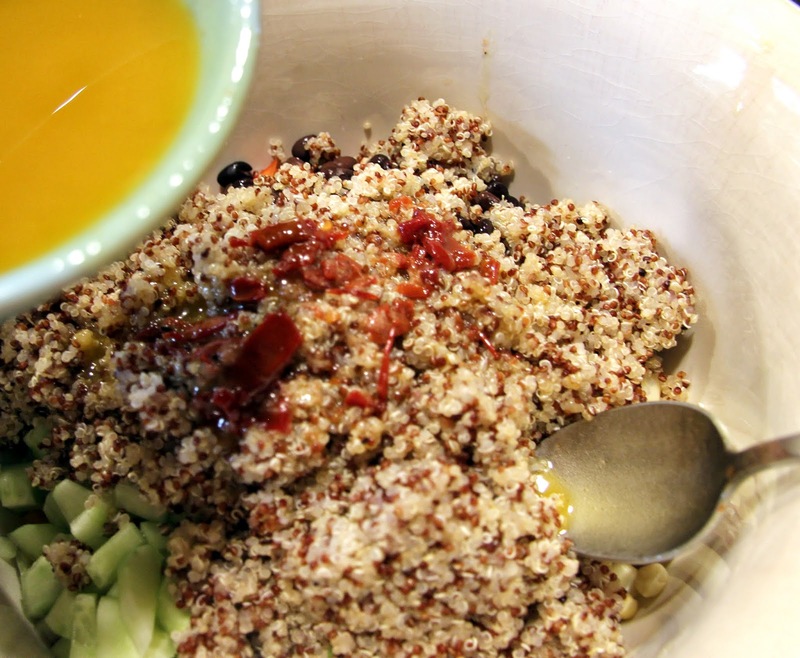 Add 4 cups cooked quinoa and dressing, stir to combine. Taste. Add salt and pepper as needed. 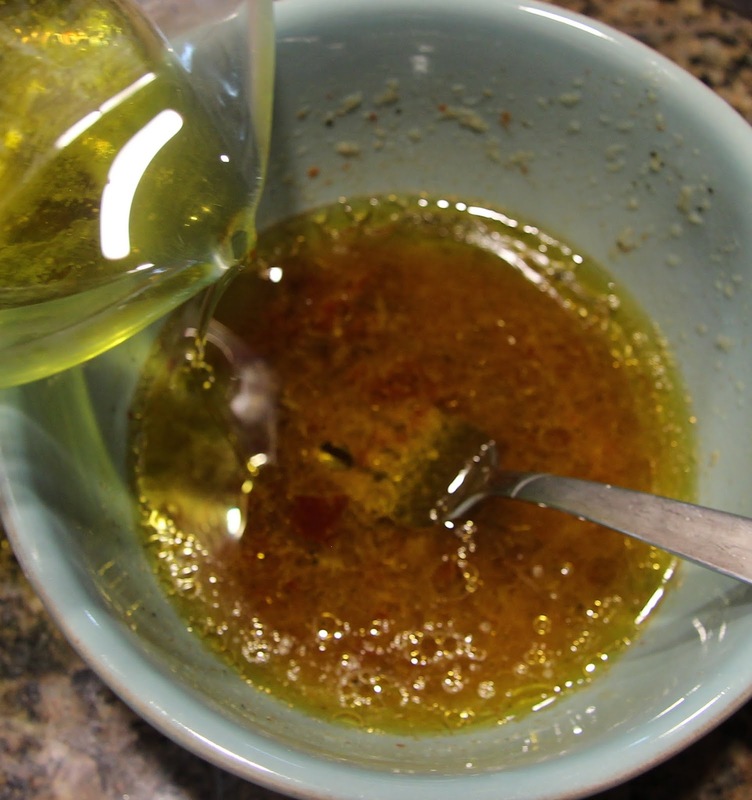 If it seems too dry, add more lemon juice and olive/canola oil, if it seems like it could use more quinoa, you should have about 2 cups remaining you can add as needed. (I always need to have some plain that I can give my girls). 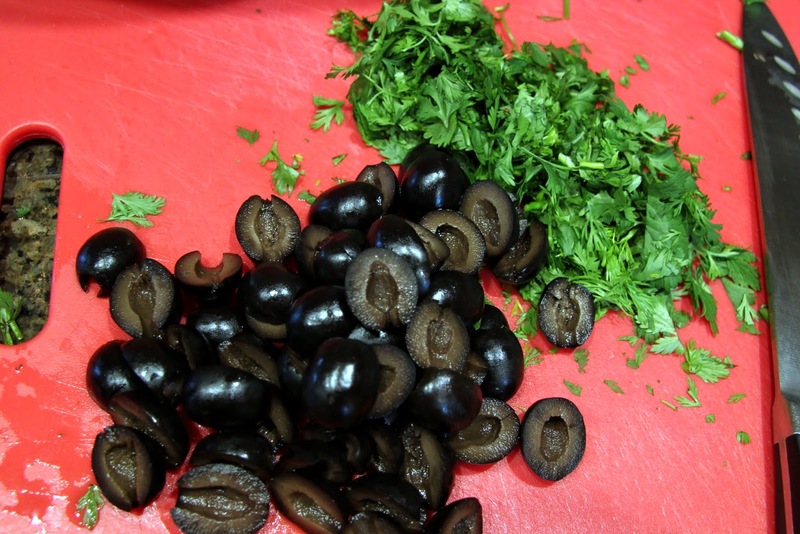 Stir in olives and cilantro. Chill before serving (or don’t, it’s good at room temp too, just better as it sits in the fridge). 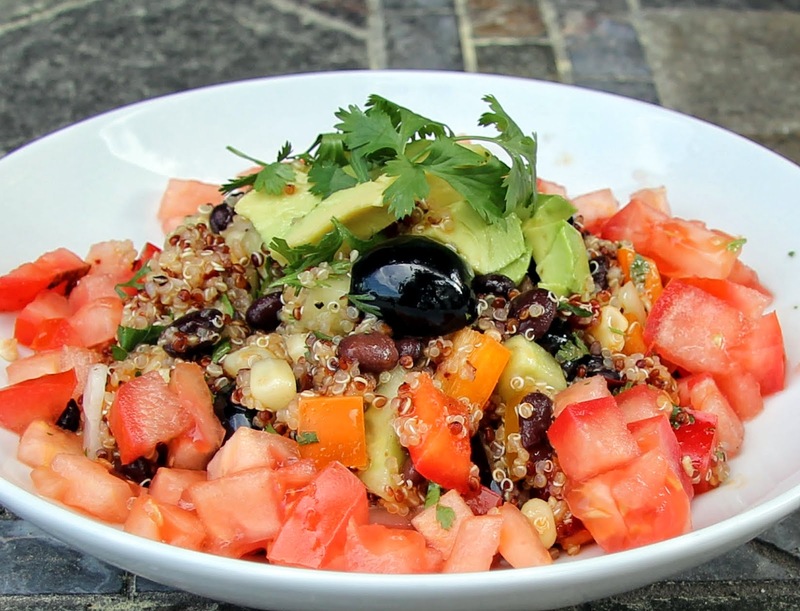 Garnish with avocado, tomato and fresh cilantro. Fortunately, many of us these days have no idea what it’s like to have to actually fight for our freedom. Unfortunately, as a result, complacency, cynicism and entitlement abound. Let us remember we are owed nothing, but we are indebted to our forefathers and our military, past and present. The very least we can do as we celebrate Independence Day is practice gratitude and pride in our country. It is very flawed, but it is ours, and we are all responsible for it, it is not responsible for us.